Open a new or existing document in the Google app of choice. Find the template you want to use. You can browse, search, or filter down by categories. 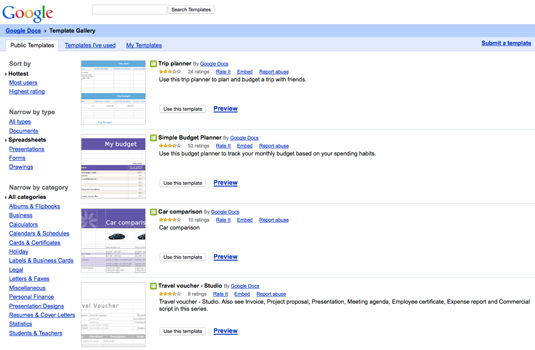 Figure 1 shows the Google Sheets templates (there are hundreds of them! ), ranging from budget planners, invoices, report cards, time cards — you name it. People like you have created most of these templates for real-life situations, so you should be able to find something that fits your needs. Figure 1: Browse available templates. Click the Preview link to view a full-sized image of the template. If you like a particular template, then click the Use This Template button. A new document, formatted in the template style you chose, opens in the application of choice on your Google Drive. You can then edit the document to your heart’s content. Many spreadsheet templates come with prepopulated formulas to make automatic calculations. You want to be careful not to mess up the formulas. For example, in Figure 2, the Amounts in Column G are automatically calculated by an existing formula that multiplies the Quantity in Column C and the Unit Price in Column F. All you have to do is type in the Quantity and Unit Price; the amount automatically fills in. 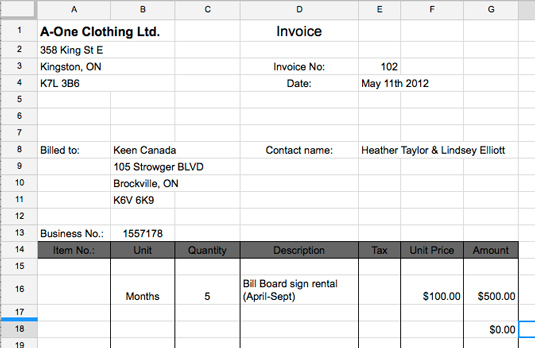 Figure 2: An invoice template for Google Sheets.